Frokostkorn, ristet hvete og ris, type Spesial K med næringsinnhold, oppskrifter og informasjon. Fakta om Frokostkorn, ristet hvete og ris, type Spesial K.
We all love an original. That classic cut, always “in”, certain something that just makes us feel great. And that tried-and-true friend is Special K® Original Cereal. 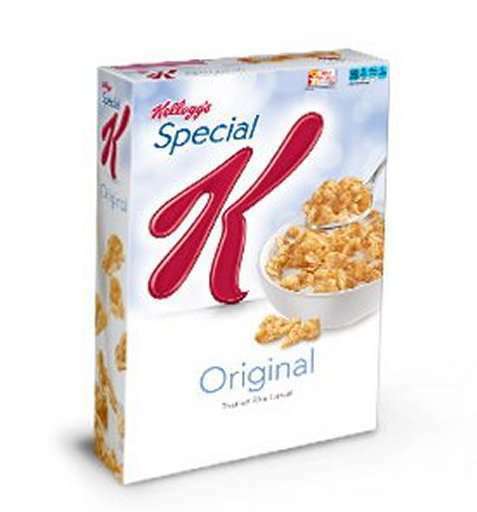 The cereal that started it all, Special K® Original Cereal, has 11 essential vitamins and minerals in each simply good serving. And it “goes with everything”: big chunks of banana, ruby red raspberries or just a splash of ice-cold skim milk. It’s a true original—just like you.